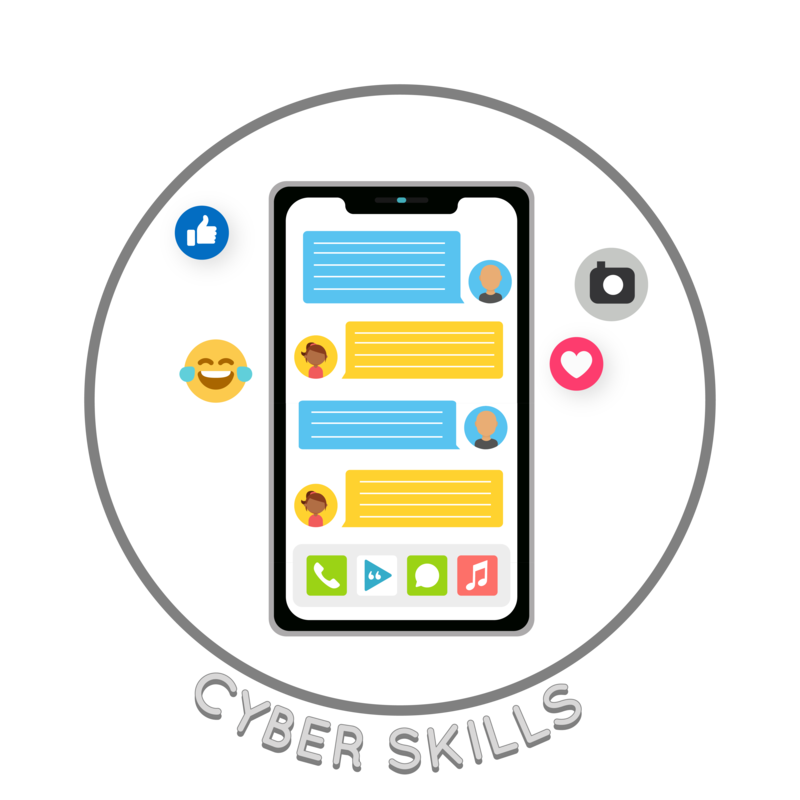 Cyber Skills are the rules and etiquette we follow when communicating with others online. This includes texting and using social media. The rules include: there is a time and a place for texting, think about what we’re going to say before we say it, and always get clarification if you’re confused by a message. We also want to consider others’ feelings before posting online. If it will hurt or embarrass anyone, we don’t post it.